A defective connector on the air line between the turbocharger and the intercooler on the No. 5 Toyota TS050 was to blame for one of the most gut-wrenching losses in 24 Hours of Le Mans history, per a team statement. The technical defect caused a loss in turbocharger control. Currently it is not clear exactly why this failure occurred as we have verified the process used to produce the part here in Cologne. Further analysis is required to determine the root cause. As we saw, the team was eventually able to modify the control settings and restore power to limp through one last lap, but they were unable to complete that lap under Le Mans’ maximum final lap time of six minutes. The car went unclassified for the race as a result. Had it waited just a few more minutes to fail, No. 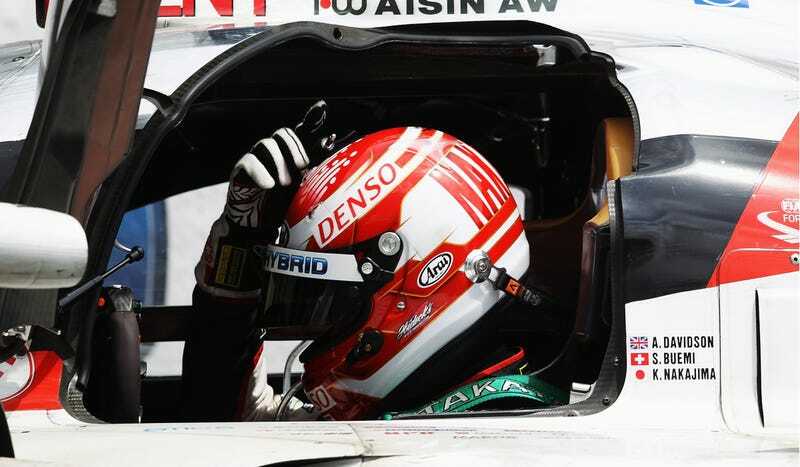 5 would have given Toyota its first win ever at Le Mans, and become only the second Japanese entry ever to win the world’s most famous motor race. Ouch. The team also confirmed that the failure was unrelated to the engine trouble the No. 5 faced at the 6 Hours of Spa-Francorchamps.